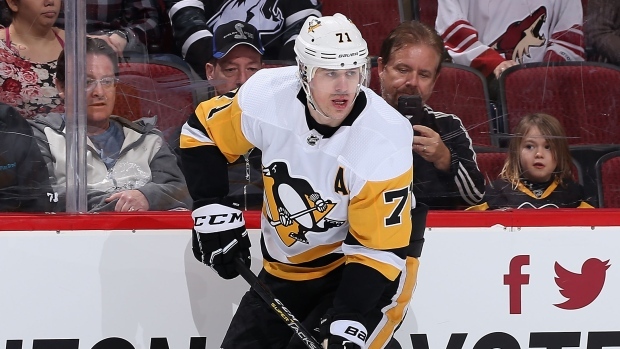 It looks like the Pittsburgh Penguins are going to be without Evgeni Malkin for the next little while. Coach Sullivan confirms that Evgeni Malkin was out of the lineup due to a week-to-week upper-body injury. Head coach Mike Sullivan told reporters following the team's loss to the Philadelphia Flyers that Malkin, who sat out Sunday, is considered week-to-week with an upper-body injury. Matt Vensel of the Pittsburgh Post-Gazette notes that Malkin took a Robert Bortuzzo cross-check to the torso Saturday. He stayed down for a bit but did not require assistance leaving the ice. He returned to the game soon after and played the rest of regulation. He was held pointless in 19:12 of ice time as the Pens fell 5-1. Bortuzzo was not penalized for the hit. In 66 games so far this season, Malkin has 21 goals and 50 assists. The 32-year-old had 42 goals and 98 points in 2017-18. Following their 2-1 overtime loss to the Flyers Sunday night, Pittsburgh will be back in action on Tuesday against the Carolina Hurricanes.